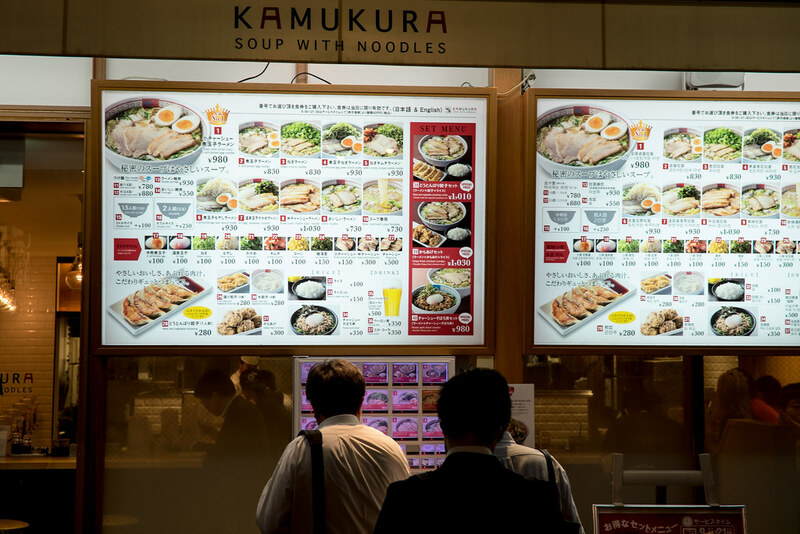 Kamukura is a popular chain hailing out of the Kansai region of Japan. 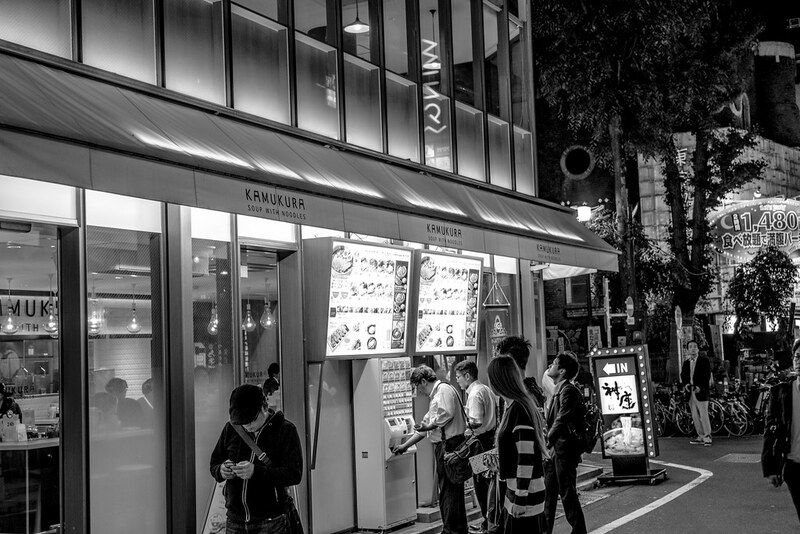 And while Osaka and its surrounding prefectures have over 30 shops, there are only five in Tokyo. Though ramen adventures is weighted towards the smaller ramen shops in Japan, I feel it is my duty to tell which chains make the cut. 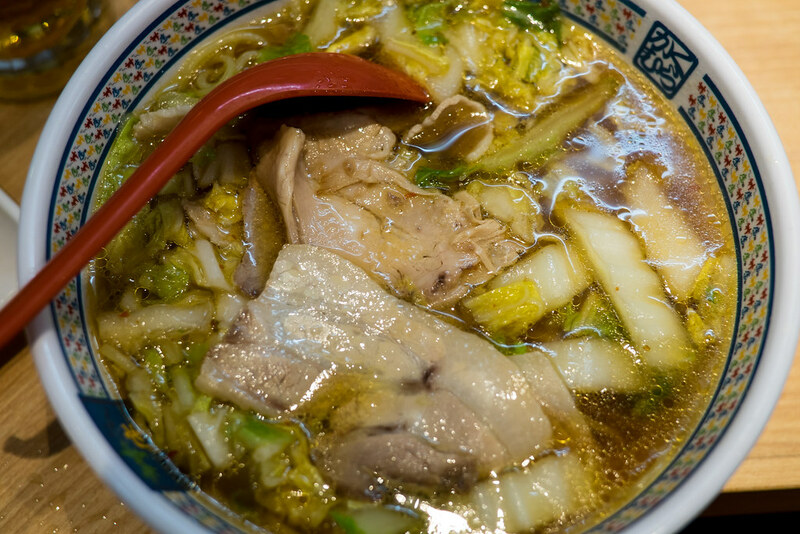 Kamukura's soup is quite deep, and fits to a T with the surrounding area. 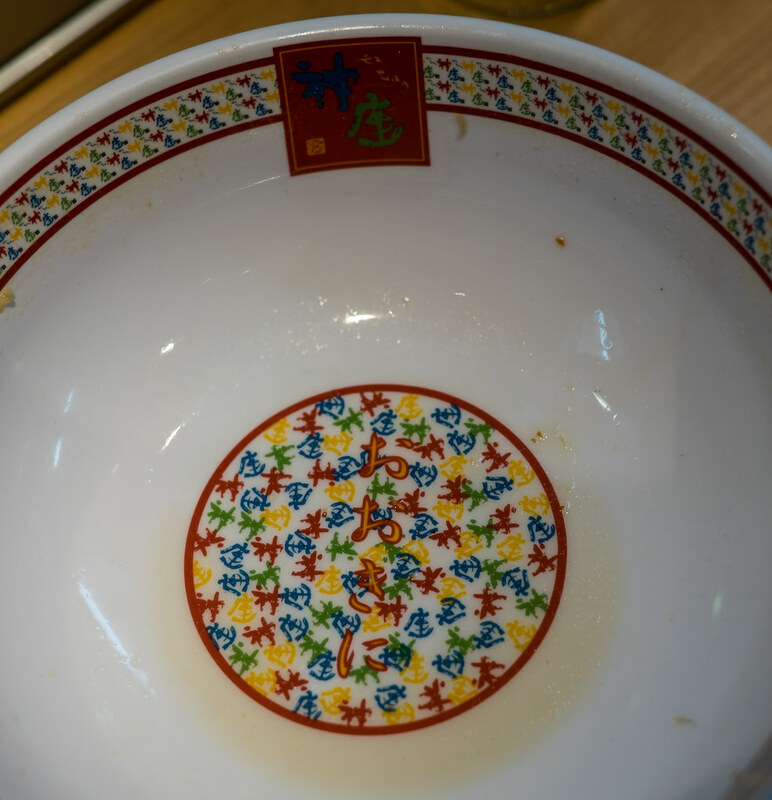 A little saltier, a little more in-your-face, this bowl is my kind of post-drinking ramen. But enough about their ramen. The main reason I stepped in this day was to try their karaage, fried chicken. 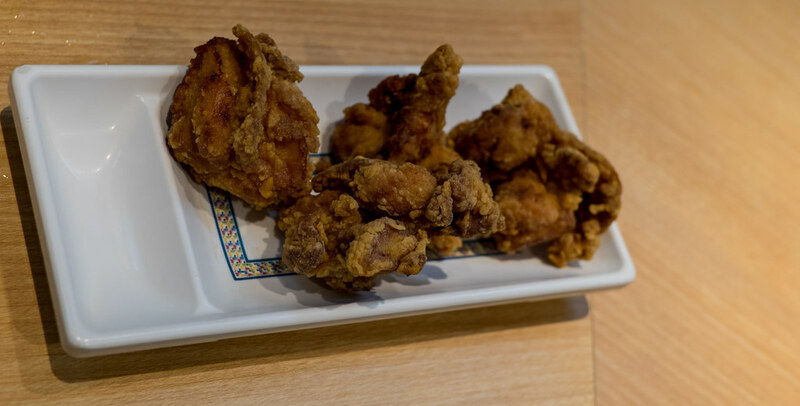 If you've spent any time in Japan, you'll know how popular boneless fried chicken is. 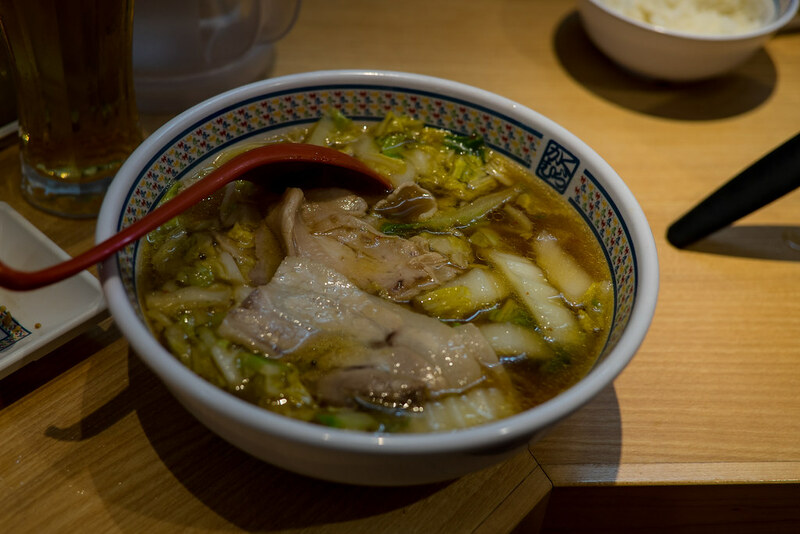 As a street food at festivals, paired with a beer at an izakaya, or in this case, alongside ramen. 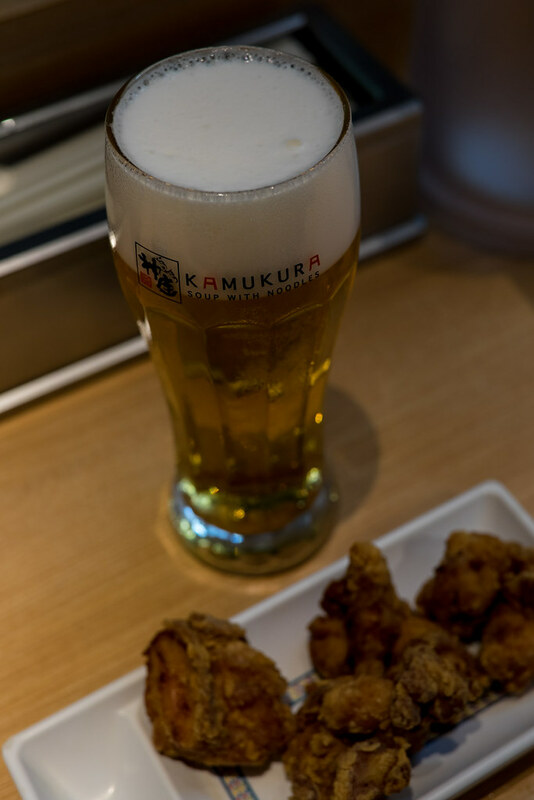 Kamukura's fried chicken recently won a gold medal from the Nippon Karaage Kyokai. 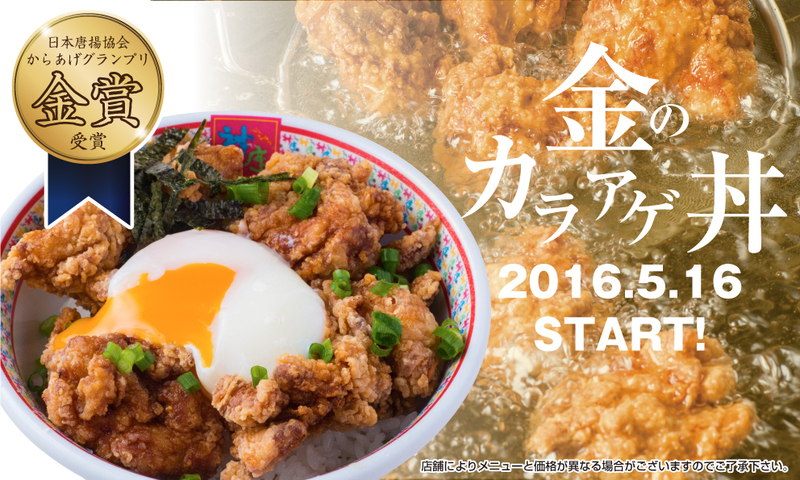 Yes, there is an official organization for fried chicken in Japan. And, yes, they hold annual competitions to find the best of the best. 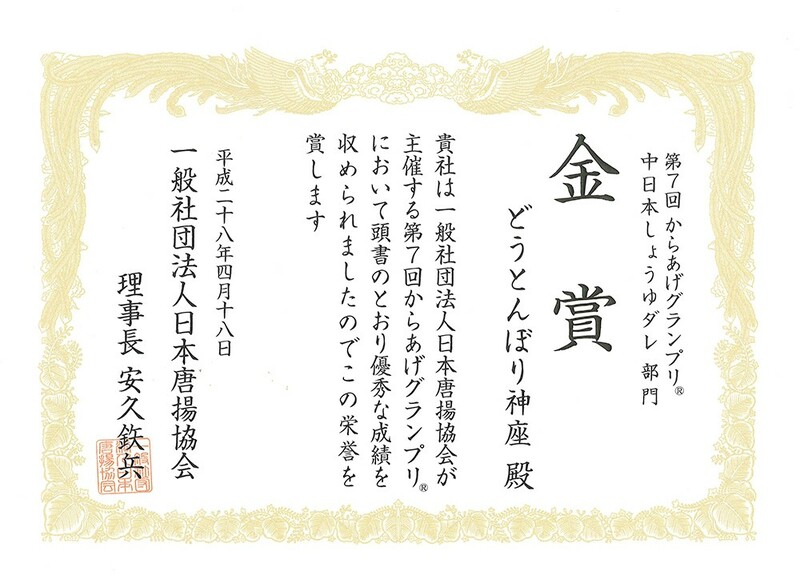 Specifically, these babies won a gold in the Central Japan Shoyu Seasoning category for their fried chicken rice bowl. Well, their regular fried chicken goes great with a brew. And the award winning rice bowl is solid by itself. I was a little surprised that it is only 390 yen. If you aren't in the mood for a whole meal, this has quick snack written all over it.